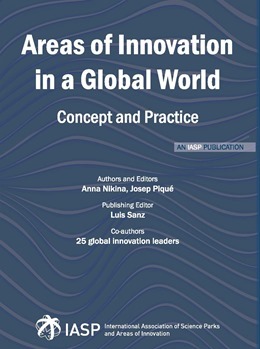 With contributions from 15 countries and all seven continents, this book addresses the current demand for areas of innovation, identifying key trends and exploring the synergies with the science and technology park concept. Authors share their insights on the formation and management of an ecosystem and present practical managerial outcomes, providing a valuable tool for innovation community professionals anywhere in the world. Interconnected clients, networked markets and new types of workers whose fortes are knowledge and creativity have created new species of companies. They are greatly different from their predecessors and face new challenges in a different world altogether. Consequently they need and demand new spaces to locate and run their businesses. Half-way into the second decade of the 21st century, a fresh wave of areas of innovation is emerging across the world. Many of these AOIs expand on the concept of the science park and university environments and aim to create sustainable and effective working and living conditions, forming appealing urban ecosystems for students, scientists, entrepreneurs, larger corporations, investors and startups.